There is a balanced environmental and Brumby sustainable option that the Andrews Government refuses to implement! Brumby heritage helped colonise Australia, went to war for Australia, inspired Australian mythology and starred in Australian films. There are so many ways our iconic Brumbies have enriched Australian culture and heritage values and will continue to do so for future generations. BUT NOW THE ANDREWS GOVERNMENT WANTS THEM GONE FROM THEIR MOUNTAIN HOME. The Victorian Government and Parks Victoria are determined to eradicate the entire population of Bogong High Plains Brumbies, and remove 1200 (more than half of the remaining eastern Alpine population) by the year 2020. But there is NO promise to retain any remaining Brumbies, instead the plan states “More horses may need to be removed to achieve a low residual population in the eastern Alps” including the need to “explore all possible control options”. Aerial shooting remains an option but for now this is on hold until the next review in 2020. The huge numbers of Brumbies that will be trapped will be well beyond the capabilities of brumby rescuers, and the vast majority of wild horses that will typically be in family groups of mares in foal, or with foals at foot, yearlings and stallions, WILL BE NOW SHOT AT THEIR CAPTURE SITE. Slaughter is not necessary. The Government is allowing a flawed and misleading Brumby impact study that ends with “There is unlikely to be a minimum population size for feral horses that would not lead to incremental, on-going degradation” to inform its actions in an attempt to incrementally rid the Victorian Alps of all Brumbies. Brumbies have never caused the extinction of any Alpine flora and fauna. Despite 150 years of co-habiting in the Alpine environment, Parks Victoria’s Alpine National Park website shows an impressive range of healthy Alpine flora and fauna photographs to attract visitors. To save our Heritage Alpine Brumbies and show the Victorian Premier, The Hon. Daniel Andrews, that it is not just "some" as the draft Alpine Brumby management plan states, but "many" people demanding the retention of Brumby populations in their traditional wild home lands by signing below. 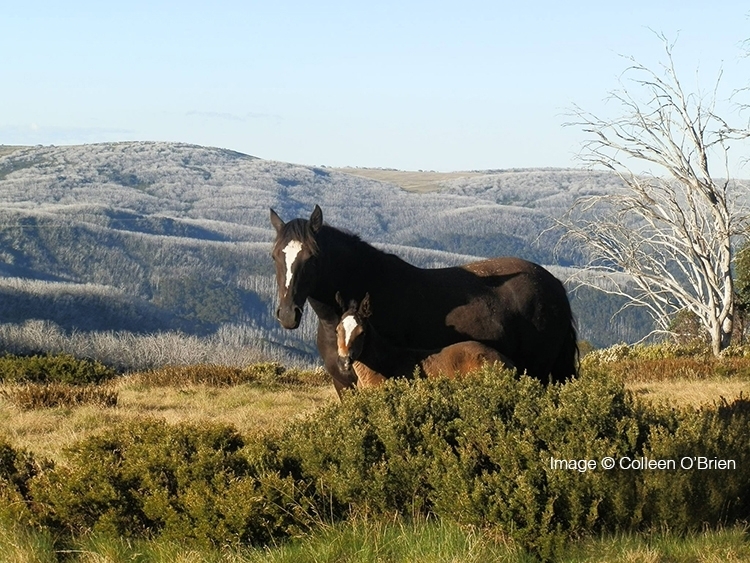 We, the undersigned, urge the Victorian Government to legislate to retain and protect sustainable Brumby populations living wild on the Bogong High Plains and across the eastern Victorian Alps. The Shame on the Andrews Government! Don’t destroy our Heritage Alpine Brumbies. petition to Victorian Government was written by Jill Pickering and is in the category Animal Welfare at GoPetition.